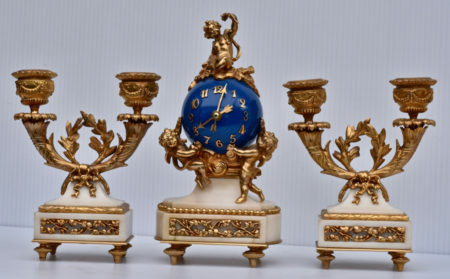 This charming French garniture set is crafted of gilt bronze ormolu castings atop a white marble base. 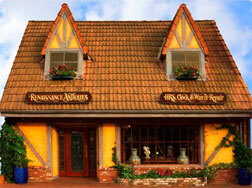 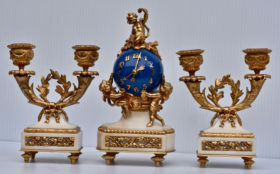 The clock is accompanied by 2-light candlesticks for either side, which all feature beautifully executed Rococo design. 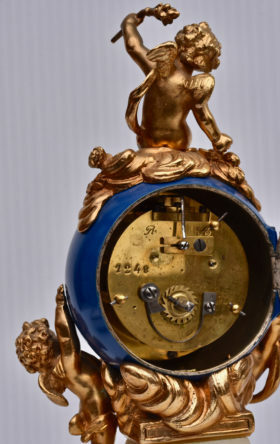 This clock houses an 8 day timepiece with a balance wheel escapement. 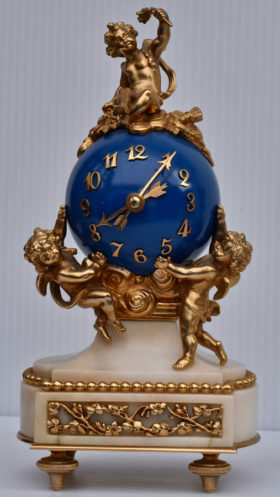 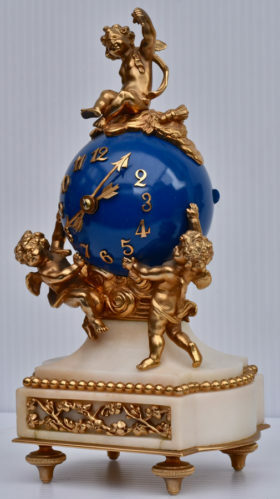 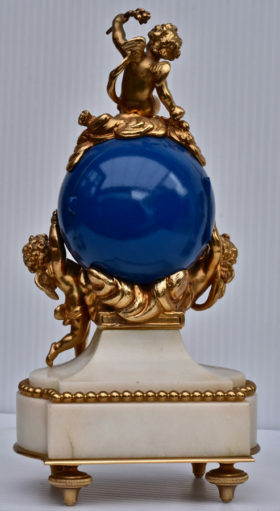 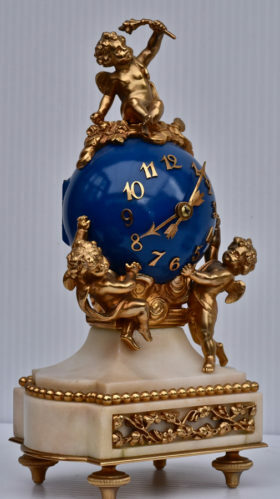 The time is displayed by arrow hands on a vibrant blue cerulean orb, surrounded by three putti.